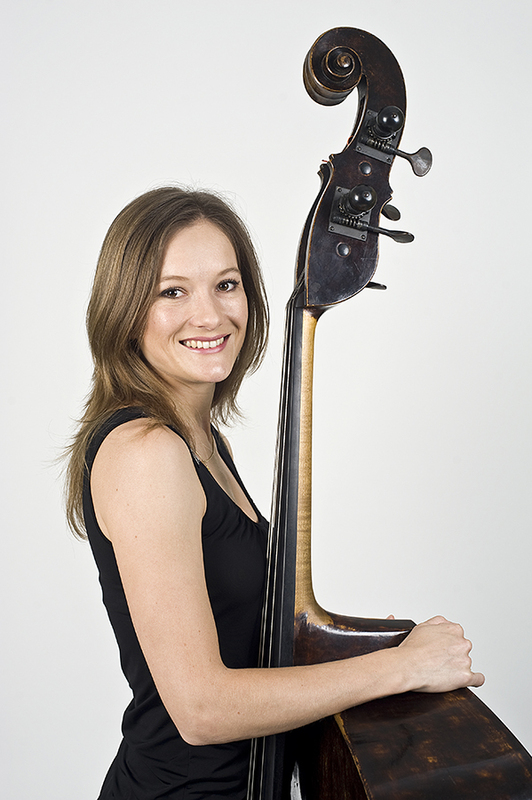 Maja Plüddemann was born in Stellenbosch, South Africa, and began studying music at the age of five. She initially studied piano and violin, but from the age of fifteen she devoted herself to the double bass. After completing her Bachelor of Music degree at the University of Stellenbosch, she continued her studies in Portugal, under the guidance of Iouri Axenov, former 1st Soloist of the Gulbenkian Orchestra. In 2006, she joined the Orquestra do Algarve, with which he also performed as a soloist and in chamber music ensembles. In 2009, she joined the Gulbenkian Orchestra. She has performed in festivals and chamber music projects in Brazil, South Africa, France and Austria. She has also played with the Virtuosi of St. Petersburg and Capella della Pietà dei Turchini. She was also a member of the Vivaldi Ensemble, under the leadership of ancient music specialist Reinhard Goebel, in Salzburg. She is currently pursuing postgraduate studies with Christine Hoock at the Mozarteum University in Salzburg.